School is out for the day, and John Marshall High School senior Matthew Hurt is alone, shooting hoops in the school's gym. It's how a lot of 18-year-old boys like to spend their time after school. But Hurt is no ordinary player. 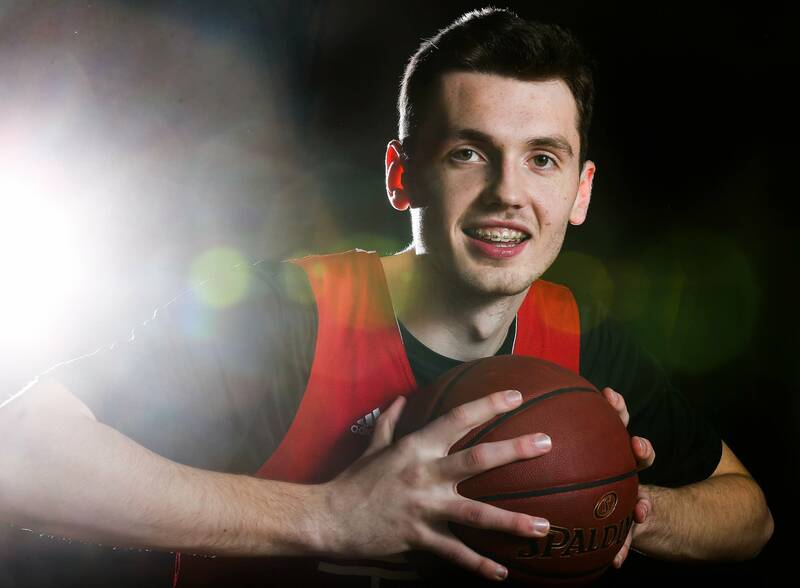 At 6 feet 9 inches and among the most highly ranked and versatile high school basketball players in the country, he has a dazzling roster of 21 college basketball programs wooing him to join their ranks, according to Hurt's father. That includes some of the top programs — the North Carolina Tar Heels, the Duke Blue Devils, the Kentucky Wildcats and Kansas Jayhawks, just to name a few. "It feels good," said the Rochester native. Hurt is the highest scorer in state history from a large high school, with more than 3,800 points for his career. He averaged 37 points a game this season, according to statistics compiled by the Rochester Post-Bulletin. Hurt still hasn't decided where he wants to go and plans to announce his decision on April 19 at John Marshall, where he cultivated his basketball career — even though the team never won a state championship. Hurt said he's weighing a few factors as the day approaches. "Most of all teammates, how comfortable I feel with the coaches," he said. "I just want to win." Winning is important and so is getting a lot of time on the court, because Hurt wants to head to the NBA as early as he can. From the sidelines, Hurt's father, Richard Hurt, who's also the varsity team's assistant coach, said he's advising his son to think about the school's reputation, too. "This process is all about trying to understand fit," he said. "It's not just about the basketball. It's obviously about the school. It's about the locker room, the guys. It's about the culture — not only in the program but also at the school as well." The elder Hurt knows a few things about helping a child make decisions about basketball. His oldest son, Michael, also played at John Marshall and now plays for the Minnesota Gophers. The youngest Hurt sibling, Katie, is in ninth grade and already has a Division 1 offer from the University of Kansas. 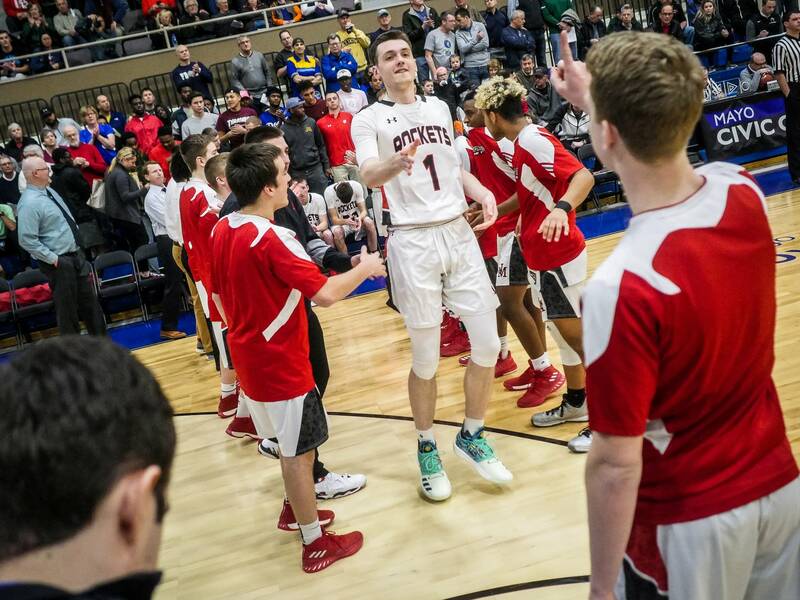 Matthew Hurt's stature makes him a standout on the court. And he's earned a reputation for playing many positions very well, which is really valuable to college coaches. 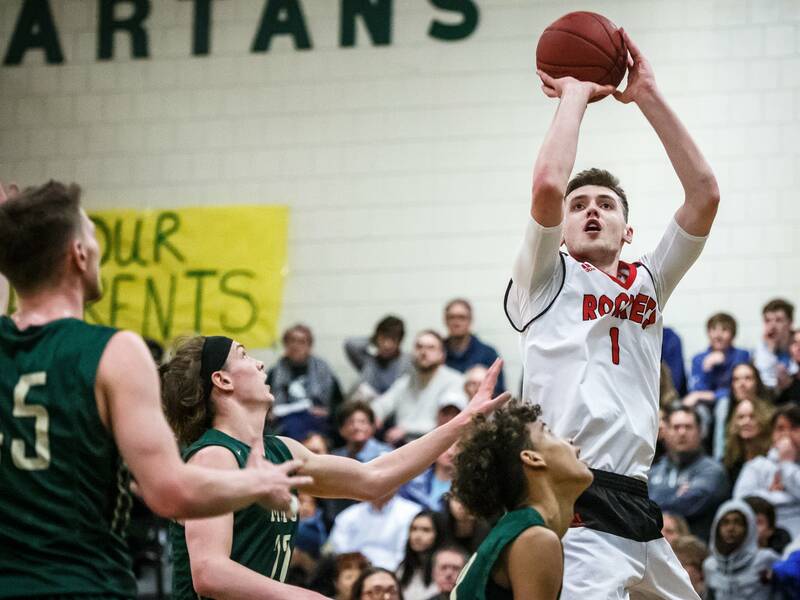 Alex Conover writes about and photographs up-and-coming high school players for the website Prep Hoops and has been watching Hurt play for years. "Through the years as he added bulk, as he became more athletic and his movements became more fluid, more refined, I think it became very clear that he was going to be a transcendent prospect, not just a good or great one," Conover said. Those skills got him noticed early by John Marshall's coaches. Hurt started playing high school basketball when he was in seventh grade, which he said was a learning experience in and of itself. "It was tough. Playing against older guys was pretty hard," Hurt said. "They got on me a little bit. But it was worth it in the end." Hurt's coach, Jim Daly, said that early start may have helped Hurt cultivate an unflappable persona on the court that's also useful when legendary coaches like Duke's Mike Krzyzewski or North Carolina's Roy Williams are in the stands to watch him play. "Every night he's getting two or three guys to guard him, sometimes the fans were a little overboard on him," Daly said. "But he kept his cool." Daly also stressed that Hurt works very hard at the sport and plays the game with a great deal of humility. "You're never going to hear Matthew talk about the points he scored the night before," he said. Hurt was recruited to play for other more competitive high school basketball programs but opted to stay at John Marshall because he said he values his relationships with teammates and coaches too much. Daly said that decision speaks to Hurt's personality. "That's just Matthew. He's a humble kid, grounded," Daly said. This weekend, Hurt says he'll be watching the Final Four and favoring Texas Tech to win. But as he watches, he'll also be thinking about 2020. "That's where me and my team want to be next year around this time," Hurt said.